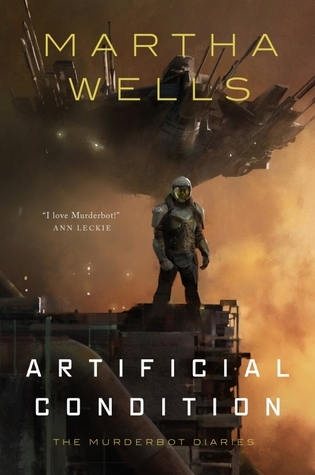 This is my favorite Murderbot book! I’ve not listened to these on audio, how are they? Does Murderbot’s voice sound like what you had imagined? The reader was good and easy to listen to. However, his voice wasn’t what I imagined because he’s male and I thought the ‘Bot’s voice to be more genderless. Actually it was hard to remember that the Bot isn’t male while listening to him.